Business After Hours is hosted and sponsored by a different local business from 5 to 7 p.m. on the third Thursday of each month. 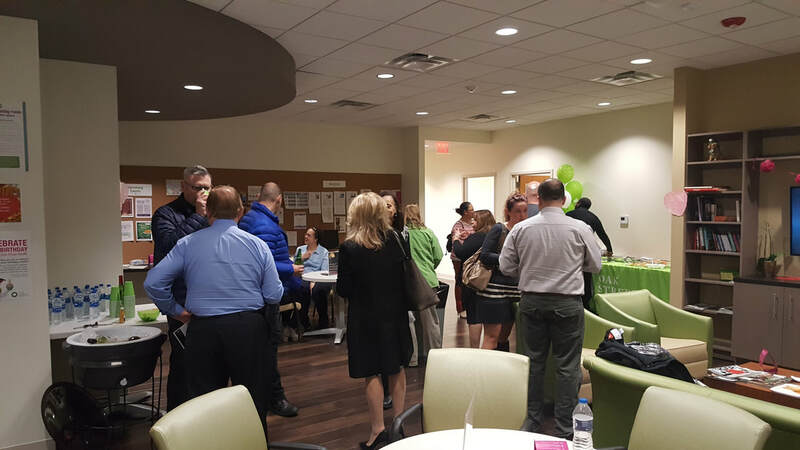 Hosting an after-hours event at your offices is an excellent way to allow members of the business community to see your facility and what you do. It could be an educational seminar or a networking event. Have an educational program or networking event at your organization's site! The City of Waukegan Chamber of Commerce has its networking socials at different locations throughout the area in the early evening (5:00-7:00 p.m.). This a great chance for you to "show off" your company. Expect approximately 35-50 attendees for a networking event (be sure there is ample parking). The host company is encouraged to set up a display table. Provide your business logo and promotional information to the Chamber of Commerce. Provide food and beverages. Designate a person from your company who will be present during the announcements to be introduced, to welcome your guests. Will provide an excellent marketing opportunity for the host company to showcase their products or services to businesspeople from Waukegan, including dignitaries. Promotion of the event and name of host will be in the Chamber’s E-newsletters, social media and local news media. Personnel for registration, name tags, and greeters will be provided. Within a week after the event, a list of attendees will be provided to the host company.